Home » World News » What's so 'good' about Good Friday? THE countdown to Easter is in full swing – and millions of people across the globe are gearing up to celebrate the annual festival. This year, Good Friday has fallen on April 14. It marks the start of the Easter long weekend, which includes Easter Monday on April 17. Good news, Good Friday is a bank holiday so many people have already begun the long Easter weekend. Monday April 17 is also a bank holiday, but not every work will give employees these two Easter dates off. Why do we celebrate Good Friday? 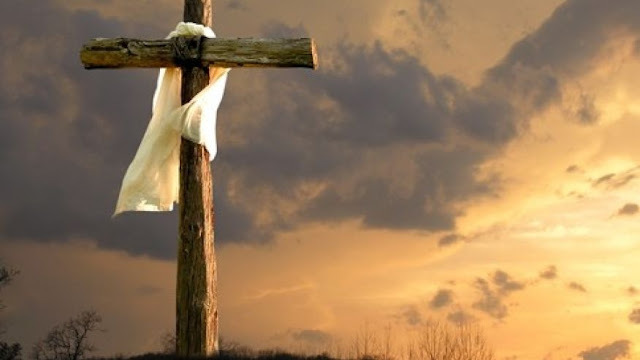 Good Friday is commemorated because the date marks the crucifixion of Jesus Christ and his death at Calvary. The date falls during Holy Week on the Friday before Easter Sunday, and sometimes coincides with the Jewish celebration of Passover. Experts believe the event has been coined “Good Friday” because the word “good” means pious or holy. Are there any other Easter dates to look out for? Tesco has apologised for any offence from a beer advertisement that claimed "Good Friday just got better". Tesco "got it badly wrong" with the "crass" advert, Michael Wakelin, from the faculty of divinity at Cambridge University, told BBC 5 live Daily. "Like it or not the Easter is also a secular holiday as well as a religious one. Most are travelling to families rather than to church," one user wrote. 0 Response to "What's so 'good' about Good Friday?"